Heterogeneous catalysts are typically solids capable of accelerating the rate of chemical reactions. Nearly 80% of the processes involved in the chemical production of bulk or fine chemicals employ heterogeneous catalysts. The heart of a heterogeneous catalyst is the surface active site, which must be highly stable during the course of chemical reaction. The active site are specific to a chemical reaction and are capable of chemisorbing the reactants through various chemical interactions. Selective conversion of the reactants to products are possible because the catalyst offeres reaction pathways with significantly lower activation energy. Although it is not always possible to determine the structure of an active site in a heterogeneous catalyst, the emphasis of modern day research has not only been to understand the structure of an active site but also synthesize and study them. The article will describe some of the emerging challenges in this field of research with examples from the authors research. Anderson R B (1956) Catalysts for the Fischer-Tropsch synthesis. Van Nos-trand Reinhold, New York vol. 4. Bähn S, Imm S, Neubert L, Zhang M, Neumann H and Beller M (2011) The Catalytic Amination of Alcohols ChemCatChem 3 1853– 1864. Balaraman E, Nandakumar A, Jaiswal G and Sahoo M K (2017) Iron-catalyzed dehydrogenation reactions and their applications in sustainable energy and catalysis Catal Sci Tech 7 3177 – 3195. Bew S P, Stephenson G R, Rouden J, Ashford P A, Bourane M, Charvet A, Dalsterin A M D, Jauseau R, Hiatt-Gipson G D and Martinez-Lozano L A (2015) Bioinspired, Base‐and Metal‐Free, Mild Decarboxylative Aldol Activation of Malonic Acid Half Thioesters Under Phase‐Transfer Reaction Conditions Adv Synth Catal 357 1245–1257. Büchel R, Baiker A and Pratsinis S E (2014) Effect of Ba and K addition and controlled spatial deposition of Rh in Rh/Al2O3 catalysts for CO2 hydrogenation. App Catal A 477 93-101. Chen W, Fan Z, Pan X and Bao X (2008) Effect of Confinement in Carbon Nanotubes on the Activity of Fischer−Tropsch Iron Catalyst. J Am Chem Soc 130 9414-9419. Corma A (1997) From Microporous to Mesoporous Molecular Sieve Materials and Their Use in Catalysis. Chem Rev 97 2373–2420. Corma A, Díaz U, García T, Sastre G and Velty A (2010) Multifunctional hybrid organic− inorganic catalytic materials with a hierarchical system of well-defined micro-and mesopores J Am Chem Soc 132 15011–15021. Cornell R M and Schwertmann U (2004) The Iron Oxides: Structure, Properties, Reactions, Occurences and Uses Wiley-VCH Verlag. Dhakshinamoorthy A and Garcia H (2014) Cascade reactions catalyzed by metal organic frameworks ChemSusChem 7 2392–2410. Diaz U, Brunel D and Corma A (2013) Catalysis using multifunctional organosiliceous hybrid materials Chem Soc Rev 42 4083–4097. Dobereiner G E and Crabtree R H (2010) Dehydrogenation as a Substrate-Activating Strategy in Homogeneous Transition-Metal Catalysis Chem Rev 110 681–703. Dorner R W, Hardy D R, Williams F W, Willauer H D (2010) Heterogeneous catalytic CO2 conversion to value-added hydrocarbons. Ener Environ Sci 3 884-890. Drab D M, Willauer H D, Olsen M T, Ananth R, Mushrush G W, Baldwin J W, Hardy D R and Williams F W (2013) Hydrocarbon Synthesis from Carbon Dioxide and Hydrogen: A Two-Step Process. Energy & Fuels 27 6348-6354. Fujita K I, Tanaka Y, Kobayashi M and Yamaguchi R (2014) Homogeneous Perdehydrogenation and Perhydrogenation of Fused Bicyclic N-Heterocycles Catalyzed by Iridium Complexes Bearing a Functional Bipyridonate Ligand J Am Chem Soc 136 4829–4832. Gnanaprakasam B, Zhang J and Milstein D (2010) Direct Synthesis of Imines from Alcohols and Amines with Liberation of H2 Angew Chem Int Ed 49 1468–1471. Gunanathan C and Milstein D (2013) Applications of acceptorless dehydrogenation and related transformations in chemical synthesis Science 341 1229712. Guo Q, Sun K, Feng Z, Li G, Guo M, Fan F and Li C (2012) A thorough investigation of the active titanium species in TS‐1 zeolite by in situ UV resonance Raman spectroscopy, Chem Eur J 18 13854–13860. Gupta S, Jain V K and Jagadeesan D (2016) Fine Tuning the Composition and Nanostructure of Fe-Based Core–Shell Nanocatalyst for Efficient CO2 Hydrogenation. ChemNanoMat 2 989-996. 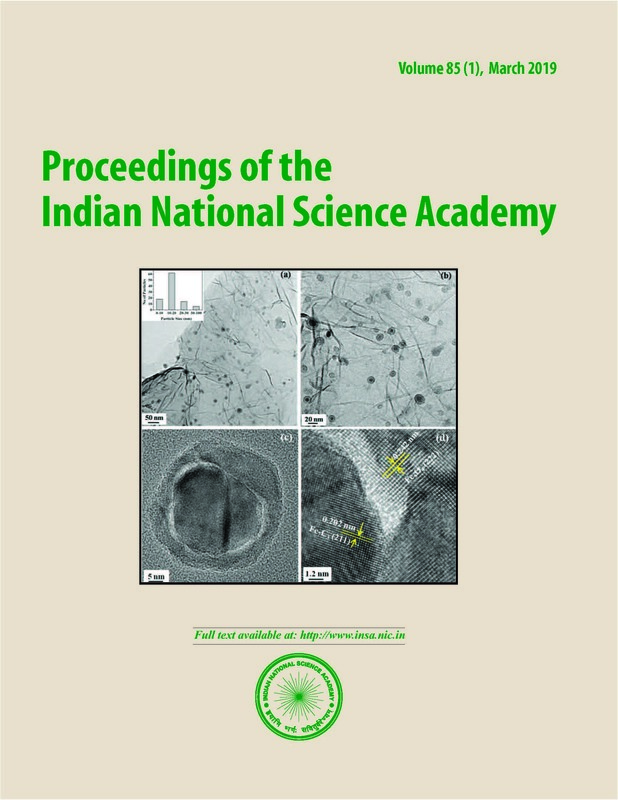 Gupta S, Vinod C P and Jagadeesan D (2015) Preparation of mesoporous titanosilicate with isolated Ti active centers for cyclohexene oxidation, RSC Adv 5 92371–92377. He X and Antonelli D (2002) Recent Advances in Synthesis and Applications of Transition Metal Containing Mesoporous Molecular Sieves, Angew Chem Int Ed 41 214-229. Ho H A, Manna K and Sadow A D (2012) Acceptorless Photocatalytic Dehydrogenation for Alcohol Decarbonylation and Imine Synthesis Angew Chem Int Ed 51 8607–8610. Huh S, Chen H-T, Wiench J W, Pruski M and Lin V S Y (2005) Cooperative catalysis by general acid and base bifunctionalized mesoporous silica nanospheres Angew Chem Int Ed 44 1826–1830. Jacobsen, C. J., Dahl, S., Clausen, B. S., Bahn, S., Logadottir, A., & Nørskov, J. K. (2001). Catalyst design by interpolation in the periodic table: bimetallic ammonia synthesis catalysts. Journal of the American Chemical Society 123 8404-8405. Jagadeesan D (2016) Multifunctional nanocatalysts for tandem reactions: A leap toward sustainability. App Catal A General 511 59-77. Jagadeesan D, Eswaramoorthy M and Rao C N R (2009) Investigations of the Conversion of Inorganic Carbonates to Methane ChemSusChem 9 878-882. Jagadeesan D, Joshi B and Parameswaran P (2015) Chemical utilization of CO2 – A challenge for the sustainable world. Resonance 20 165-176. Jagadeesan D, Sundarayya Y, Madras G and Rao C N R (2013) Direct conversion of calcium carbonate to C1–C3 hydrocarbons RSC Adv 3 7224-7229. Jaiswal G, Landge V, Jagadeesan D and Balaraman E (2017) Iron-based nanocatalyst for the acceptorless dehydrogenation reactions Nature Comm 8 2147 – 2160. Jaiswal G, Landge V, Jagadeesan D and Balaraman E (2016) Sustainable iron-catalyzed direct imine formation by acceptorless dehydrogenative coupling of alcohols with amines Green Chem 18 3232 – 3238. Johnson T C, Morris D J and Wills M (2010) Hydrogen generation from formic acid and alcohols using homogeneous catalysts Chem Soc Rev 39 81–88. Jolivet J P, Henry M and Livage J (2000) Metal oxide chemistry and synthesis: from solution to solid state. Wiley-Blackwell. Khosla C (1997), Harnessing the biosynthetic potential of modular polyketide synthases, Chem Rev 97 2577–2590. Saikia L, Satyarthi J K, Srinivas D, Ratnasamy P (2007) Activation and reactivity of epoxides on solid acid catalysts, Journal of Catalysis 252 148-160. Leadlay P F (1997) Combinatorial approaches to polyketide biosynthesis Curr Opin Chem Biol 1 162–168. Li H, Wang X, Wen M and Wang Z X (2012) Computational Insight into the Mechanism of Selective Imine Formation from Alcohol and Amine Catalyzed by the Ruthenium(II)‐PNP Pincer Complex Eur J Inorg Chem 31 5011– 5020. Liu B, Liu H, Wang C, Liu L, Wu S, Guan J and Kan Q (2012), Exploration of acid–base geometric influence on cooperative activation for aldol reaction, App Catal A 443 1-7. Maggi A and Madsen R (2012) Dehydrogenative Synthesis of Imines from Alcohols and Amines Catalyzed by a Ruthenium N-Heterocyclic Carbene Complex Organometallics 31 451–455. Margelefsky E L, Zeidan R K and Davis M E (2008) Cooperative catalysis by silica-supported organic functional groups Chem Soc Rev 37 1118–1126. Matar, M. S., Manfred J. Mirbach, and Hassan A. Tayim, eds. Catalysis in petrochemical processes. Springer Science & Business Media, 1988. Melaet G, Ralston W T, Li C S, Alayoglu S, An K, Musselwhite N, Kalkan B, and Somorjai G A (2014) Evidence of Highly Active Cobalt Oxide Catalyst for the Fischer–Tropsch Synthesis and CO2 Hydrogenation J Am Chem Soc 136 2260–2263. Minett D R, O'Byrne J P, Pascu S I, Plucinski P K, Owen R E, Jones M D and Mattia D (2014) Fe@CNT-monoliths for the conversion of carbon dioxide to hydrocarbons: structural characterisation and Fischer–Tropsch reactivity investigations. Catal Sci Technol 4 3351-3358. Motokura K, Tomita M, Tada M and Iwasawa Y (2008) Acid–Base Bifunctional Catalysis of Silica–Alumina‐Supported Organic Amines for Carbon–Carbon Bond‐Forming Reactions Chem Eur J 14 4017–4027. Nicolaou K C, Edmonds D J and Bulger P G (2006) Cascade reactions in total synthesis Angew Chem Int Ed 45 7134-7186. Obora Y (2014) Recent Advances in α-Alkylation Reactions using Alcohols with Hydrogen Borrowing Methodologies ACS Catal 4 3972–3981. Rodriguez J A, Liu P, Stacchiola D J, Senanayake S D, White M G, and Chen J G (2015) Hydrogenation of CO2 to Methanol: Importance of Metal−Oxide and Metal−Carbide Interfaces in the Activation of CO2 ACS Catalysis 5 6696-6706. Satterfield, C. N. (1991). Heterogeneous catalysis in industrial practice. Smith P F, Deibert B J, Kaushik S, Gardner G, Hwang S, Wang H, Al-Sharab J F, Garfunkel E, Fabris L, Li J (2016) Coordination geometry and oxidation state requirements of corner sharing MnO6 octahedra for water oxidation catalysis: An investigation of manganite (γ-MnOOH) ACS Catalysis 6 2089-2099. Smit E D, Weckhuysen B M (2008) The renaissance of iron-based Fischer–Tropsch synthesis: on the multifaceted catalyst deactivation behavior Chem Soc Rev 37 2758-2781. Stankiewicz A I and Moulijn J A (2000) Process intensification: transforming chemical engineering, Chem Eng Prog 96 22–34. Staunton J and Wilkinson B (1997), Biosynthesis of erythromycin and rapamycin, Chem Rev 97 2611–2630. Sun B, Xu K, Nguyen L, Qiao M and Tao F (2012) Preparation and Catalysis of Carbon‐Supported Iron Catalysts for Fischer–Tropsch Synthesis. ChemCatChem 4 1498-1511. Taramasso M, Perego G and Notari B (1983) Preparation of porous crystalline synthetic material comprised of silicon and titanium oxides US Patent 4410501. Tietze L F (1996) Chem Rev Domino Reactions in Organic Synthesis 96 115–136. Townsend C A (1997), Structural studies of natural product biosynthetic proteins, Chem Biol 4 721–730. Tu J, Ding M, Zhang Q, Zhang Y, Wang C, Wang T, Ma L and Li X (2015) Design of Carbon-Encapsulated Fe3O4 Nanocatalyst with Enhanced Performance for Fischer–Tropsch Synthesis. ChemCatChem 7 2323-2327. Van Gerven T and Stankiewicz A (2009), Structure, Energy, Synergy, Time—The Fundamentals of Process Intensification, Ind Eng Chem Res 48 2465–2474. Vernekar D and Jagadeesan D (2015) Tunable acid-base bifunctional catalytic activity of FeOOH in an orthogonal tandem reaction Catal Sci Technol 5 4029-4038. Wang W, Wang S, Ma X and Gong J (2011) Recent advances in catalytic hydrogenation of carbon dioxide. Chem Soc Rev 40 3703-3727. Wu J, Talwar D, Johnston S, Yan M and Xiao J (2013) Acceptorless Dehydrogenation of Nitrogen Heterocycles with a Versatile Iridium Catalyst Angew Chem Int Ed 52 6983–6987. Xu C, Goh L Y and Pullarkat S A (2011) Efficient Iridium-Thioether-Dithiolate Catalyst for β-Alkylation of Alcohols and Selective Imine Formation via N-Alkylation Reactions Organometallics 30 6499–6502. Xu L, Li C, Zhang K and Wu P (2014) Bifunctional tandem catalysis on multilamellar organic–inorganic hybrid zeolites ACS Catal 4 2959–2968. Xu R, Chakraborty S, Yuan H and Jones W D (2015) Acceptorless, Reversible Dehydrogenation and Hydrogenation of N-Heterocycles with a Cobalt Pincer Catalyst ACS Catal 5 6350–6354. Yamaguchi C, Ikeda Y, Takahashi and Fujita K I (2009) Homogeneous Catalytic System for Reversible Dehydrogenation−Hydrogenation Reactions of Nitrogen Heterocycles with Reversible Interconversion of Catalytic Species J Am Chem Soc 131 8410–8412. Yan D, Li Y, Liu Y, Zhuo R, Wu Z, Geng B, Wang J, Ren P, Yan P and Geng Z (2014) Synthesis and electrochemical properties of multilayered porous hexagonal Mn(OH)2 nanoplates as supercapacitor electrode material Mater Lett 136 7-10.